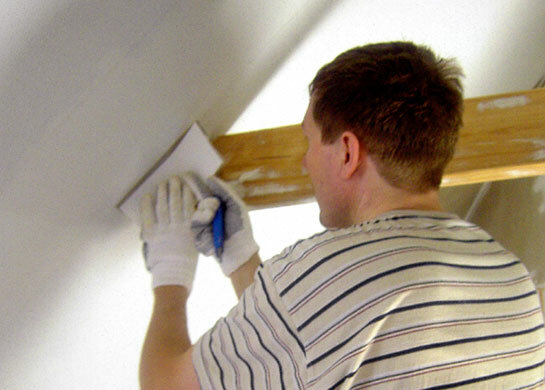 Before gluing of Wallpaper you need to carefully prepare the walls to align, to wash and dry. It often happens that the Wallpaper should be pasted on the painted wall. And then the question arises: what to do with the paint? Remove it or leave? Wash or can you have it on top to seal? If the wall you have painted with oil paint, check how firmly holds this cover. To do this, take the adhesive tape and stick it to the wall. Then tug sharply on the tip. If the paint remains in place, then holding up well, and the Wallpaper can be glued directly on top of it. But before that you need to give it a slight roughness. If the pieces of paint behind the wall, but still with plaster and paint from the wall you want to remove. In fact, and in another case you need to carefully inspect all the walls. Where the paint swells or bursts, it must be cleaned, the surface is primed. And already only after that to glue Wallpaper. About to fall off from the paint will not be thanks to the ground. Only need to use a certain composition, which when dried becomes like glass. Such and Wallpapers go better and stay stronger. 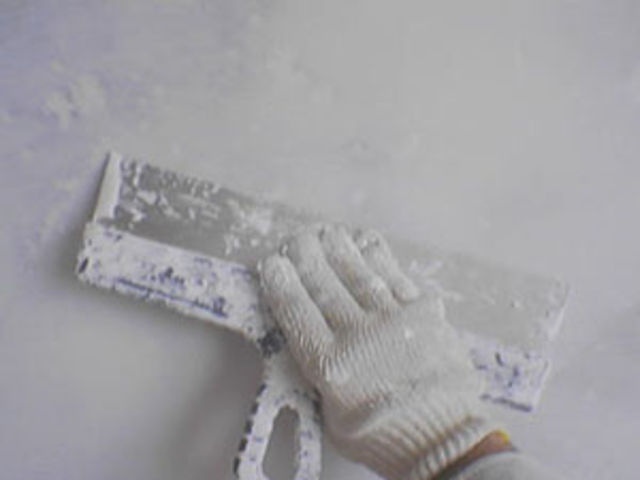 If the walls have been painted with latex paint, it is necessary before wallpapering rinse. It is inconvenient and time-consuming, but necessary. Because old paint tends to crumble, and therefore does not provide a sufficient coupling with the wall. So just glued the Wallpaper can easily move away from the walls, along with remnants of old paint. 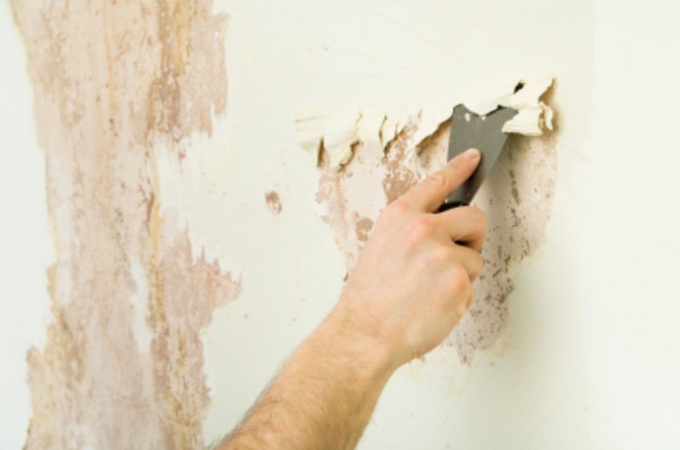 If you have on the walls there is a thick layer of whitewash, its first need to scrape with a spatula. Before that, do not forget to wet the chalk with water. The remaining thin layer of paint simply washed off with water using a large paintbrush, sponge or cloth. The whitewash from the walls need to be removed entirely, leaving nothing. Because of her Wallpapers are not only behind walls, but at the slightest humidity will bubble up. Check whether all the paint you removed, just having a hand on the wall. If the fingers and palm traces of chalk is not observed, then the wall is washed. If still something remains, you should continue to wash. Then the walls should be thoroughly dried. And start wallpapering. To not have there are walls to wash the floor all over the house, it is better to take care of the training facilities. The best option is to spread on the floor of the polyethylene or corrugated cardboard. It is desirable to do it not all of the repaired areas. Then less garbage had to be collected.